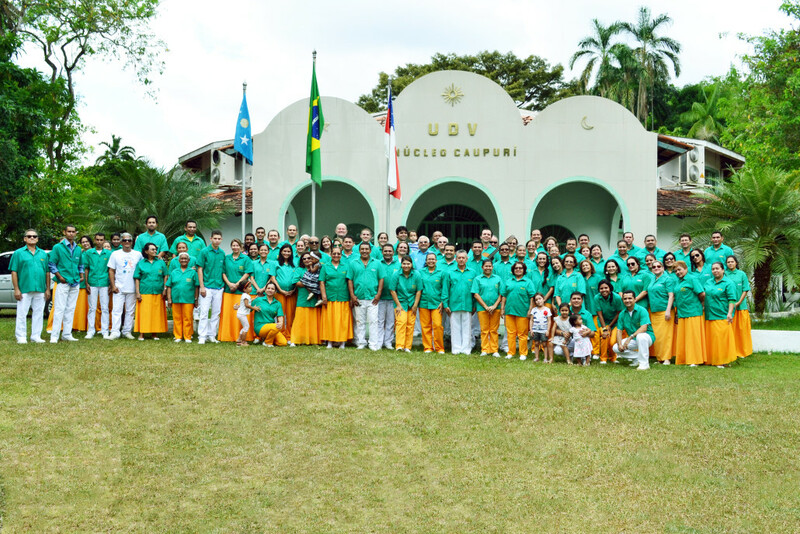 The first núcleo of the Beneficent Spiritist Center União do Vegetal, Núcleo Caupuri, today with 48 years of history, was created with the first session taking place in Manaus (AM) on July 29, 1967. Until then, the UDV only existed in Porto Velho (RO), housed in the residence of José Gabriel da Costa, Mestre Gabriel, creator of the União do Vegetal. 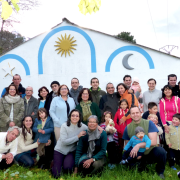 The session was on a piece of property owned by then disciple Geraldo Carvalho, Mestre Florêncio Carvalho’s brother, at the time known as Mestre Cruzeiro. 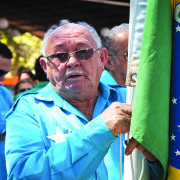 Besides Mestre Florêncio, responsible for bringing the Vegetal from Porto Velho to Manaus, also present were his brother-in-law Vicente Marques da Silva, sister-in-law Ozélia Gomes de Carvalho and a man identified by the name of Sávio, who was the caretaker of the property, and had drunk Vegetal before in the rubber tapping regions of the forest. Approximately one year after the first Vegetal session, Mestre Gabriel was in Manaus visiting the irmandade for the first time. He returned to visit them in 1970 and in September of 1971, on which occasion he participated in his last session incarnated. From Manaus he continued to Brasilia, where he disincarnated on September 24, 1971. After Núcleo Caupuri, more núcleos originated throughout Brazil and the rest of the world. Currently, the União do Vegetal is present in all units of the Brazilian Federation and in ten other countries. The UDV has its General Headquarters, 169 núcleos and 19 authorized distributions of Vegetal. In 1976, Núcleo Manaus had its name change to Núcleo Caupuri. In December of that same year, it received the title of Utilidade Pública Estadual (Literally “State Public Utility”–designation given to civil societies, associations and foundations in Brazil that promote education or are active in scientific, cultural, artistic or philanthropic research). A significant event at the Núcleo of Manaus happened during the last session with Mestre Gabriel materially present. On this occasion, he made the Rosary of Chamadas, which was recorded by Mestre Florêncio de Carvalho. Another important moment occurred in 1973, when the first request for scientific study of Mariri, Chacrona and the Hoasca tea was made to the National Institute of Research of the Amazon (INPA). The meeting of the General Administration (the highest organ of the UDV at the time) on October 20, 1982 at Núcleo Caupuri also deserves mention, wherein it was decided to transfer the General Headquarters from Porto Velho to Brasilia. The General Hedquarters was planted in Brasilia on November 1 of that year. Historic photo research: Miguel Almeida, auxiliary of the Department of Memory and Documentation of the 2nd Region and member of the Instructive Body of Núcleo Caupuri.